Admissions Open at Ziauddin University's Karachi Campus for the batch Fall 2018. ZU offers admissions in different fields of study for Diploma, and Masters. you can apply for , MS - Master of Science, . 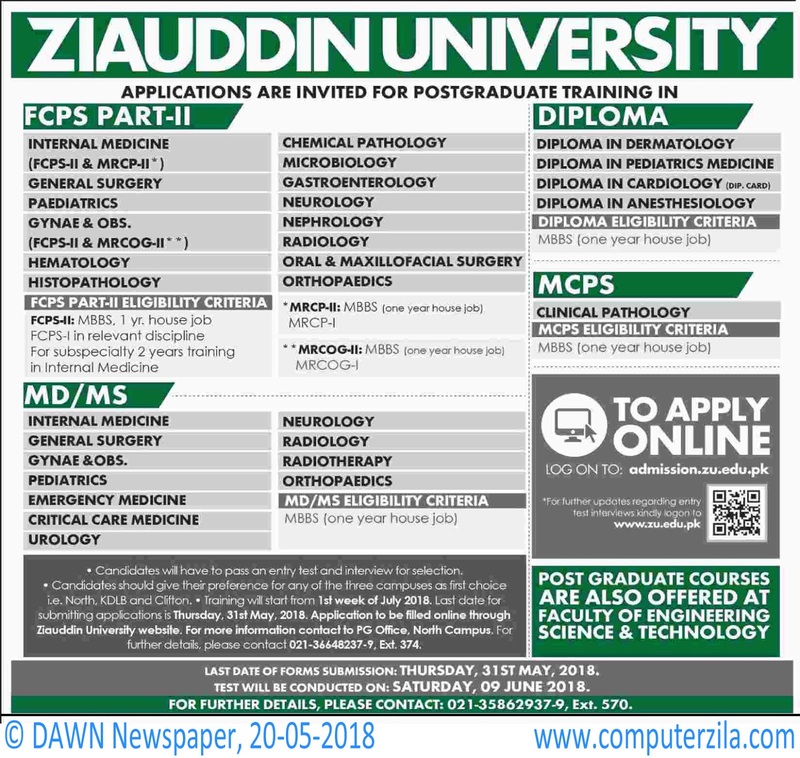 Ziauddin University admissions are invited for postgraduate training in Diploma, MD/MS, MCPS, and FCPS PART-II programs in the following fields.